As the warm weather winds down and summer tans begin to fade, we patiently await the coziest season of them all. From colorful leaves to snug sweaters, we just love the spirit of fall. Not only does fall mark the arrival of a crispness in the air, it also ushers in some of our favorite holidays. 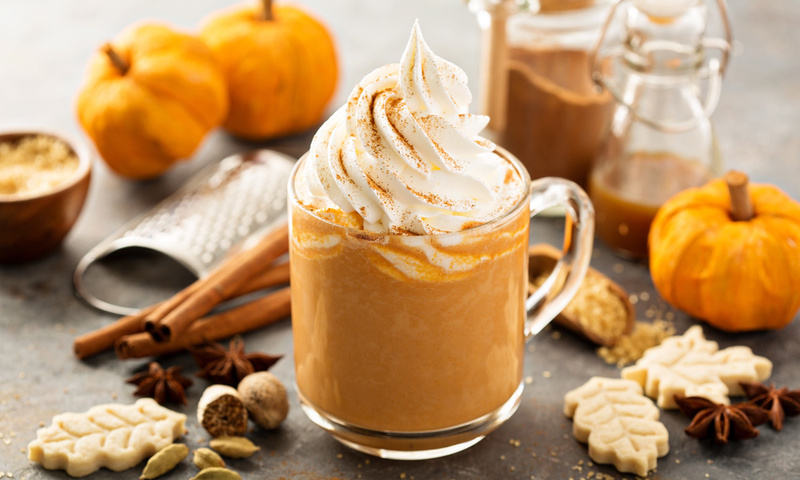 So while you’re looking forward to all that Halloween, Thanksgiving, and Christmas have to offer, take some time to sit back and relax with a fall inspired beverage. To make the most of the season’s fresh apples, pumpkins, and cranberries, try whipping up one of these delicious drinks. Skipping the Starbucks line for those Pumpkin Spice Lattes and Peppermint Hot Chocolates has never been so easy. When you follow these five easy recipes, you’ll save money and make your day and season that much sweeter. Chai lattes are the perfect blend of cream, spice, and caffeinated goodness. 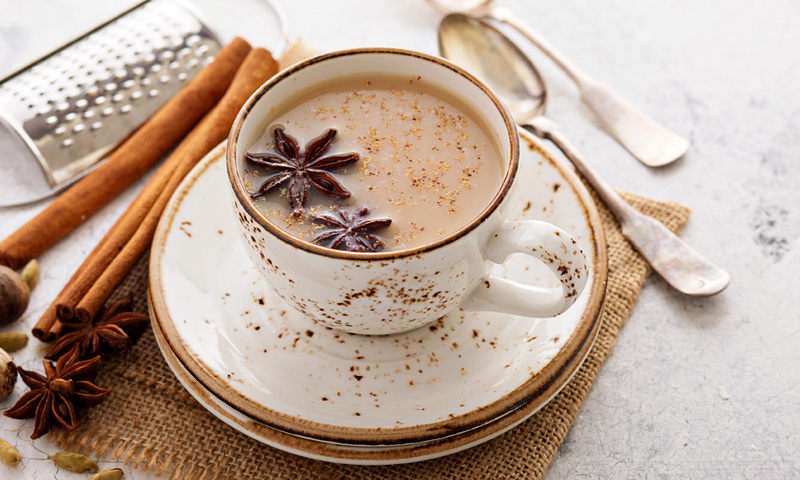 There’s nothing quite like coming home from a long day at the office and unwinding with a steaming cup of chai. And one of the greatest things about chai lattes is that you don’t need to go to a gourmet café to get delicious results. This recipe by the Foodie Teen starts off by warming almond milk over medium heat. Once the milk starts to simmer, remove it from the heat and add your chai tea bags. Let the tea bags steep for about 5 minutes, then remove and add maple syrup, vanilla extract, cinnamon, ground cloves, and nutmeg. Reheat for a few minutes and voilá! If you’d like to create a picturesque frothy layer on top, then blend your latte for 20-30 seconds. It’s that easy! Are you a brunchie? Brunch is one of the weekend’s highlights, offering sweet and savory delights at every turn. If you’re hosting your own brunch and looking for an autumn spin on a classic beverage, look no further. This recipe for apple cider mimosas by Delish is the perfect drink for casual and fun brunch gatherings. Mimosas are super simple and rely on the quality of your ingredients. So for these fall inspired mimosas, be sure to source apple cider and champagne that are to your liking. To begin putting together these drinks, mix ground cinnamon and sugar. Wet the rims of your glasses and bury into your cinnamon and sugar mixture. Once your cups are rimmed with this sweet finish, fill them with ¼ apple cider and ¾ champagne. Then cheers all around. 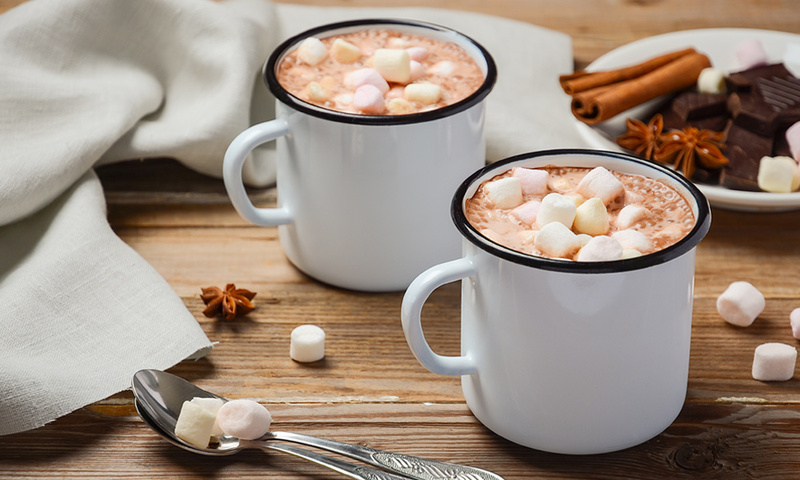 Hot chocolate is definitely a must during crisp fall evenings. Each gulp is a delightful combination of warmth and rich flavor. Add a little kahlua to the mix, and you’ve got a classic for the adults in the family. Follow this recipe by Damn Delicious for a new fall favorite. Mix milk, sugar, cocoa powder, cinnamon and nutmeg in a saucepan and warm for about 2 to 3 minutes. Then transfer the hot cocoa to your most festive and fall inspired mugs. Add a little kahlua and garnish with mini marshmallows, salted caramel, and chocolate syrup. Wow, now that’s a drink for the ultimate sweet tooths! 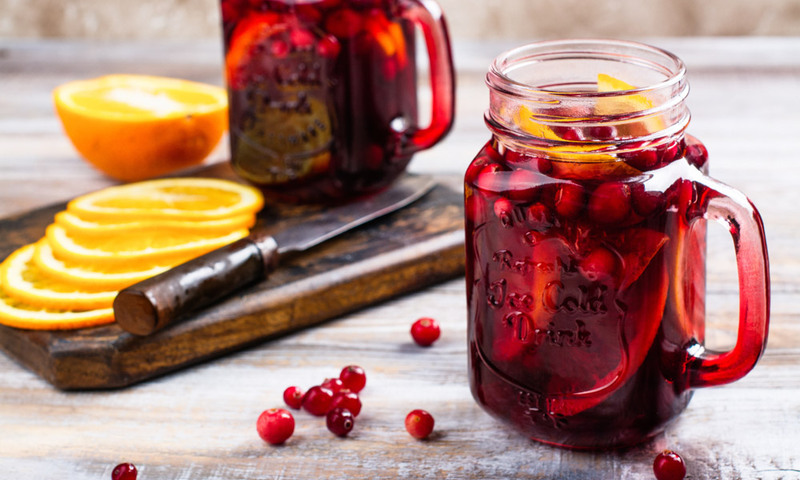 If you’re hosting an evening with friends, sparkling cranberry sangria will knock their autumn socks off. It has everything you need – fresh fruit, fall spices, and a little sparkle for excitement. For this recipe from the Salty Marshmallow, you’ll need fresh cranberries, sliced oranges, cinnamon sticks, cabernet sauvignon, orange juice, cranberry juice, and cinnamon. Place the fresh fruit and cinnamon in a large pitcher and add the wine and juices. Stir and chill for at least 2 hours. Then pour your chilled sangria into glasses, leaving room to top each one off with a little club soda. We know, we know. You’re all tired of the pumpkin craze. Even so, a little pumpkin here and there is just what the fall doctor ordered. Plus, when you make it yourself at home, it’ll taste even better. This recipe from Inspired Taste starts with combining milk, pumpkin puree, and sugar in a saucepan. Place your mixture over medium heat until hot, then remove and whisk in vanilla, pumpkin pie spice, and coffee. Top your trendy drink with whipped cream and a sprinkle of pumpkin pie spice. Then enjoy your homemade cup of pumpkin deliciousness! Making seasonal and tasty drinks is cost-effective, easy, and a great way to make the most of the changing weather. 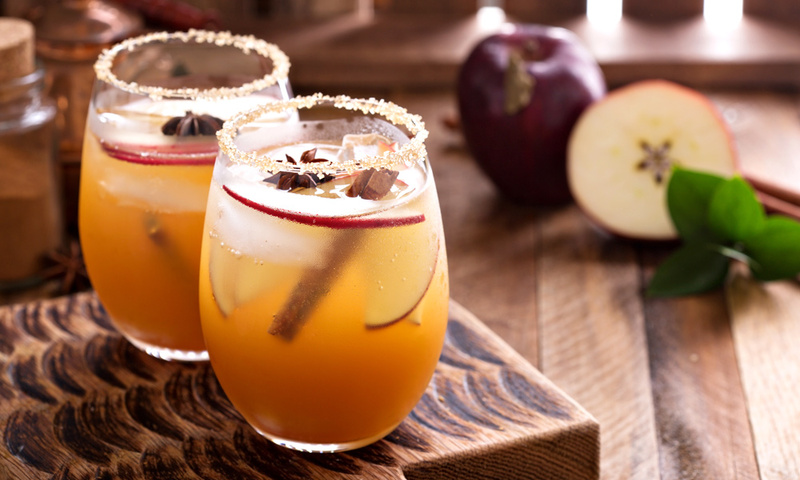 With just a few ingredients, you can turn any day, evening, or get together into a fall inspired delight. And soon, you’ll be able to enjoy these delectable drinks while gazing up at beautiful holiday lighting and décor. Now that’s what we call an Instagrammable moment!